At a ceremony on February 26, 2013, in New York the National Academy elected Bernard Tschumi as one of their members, together with Steven Holl, Robert Gober, Robert Irwin, Bruce Nauman, Cindy Sherman, and others. 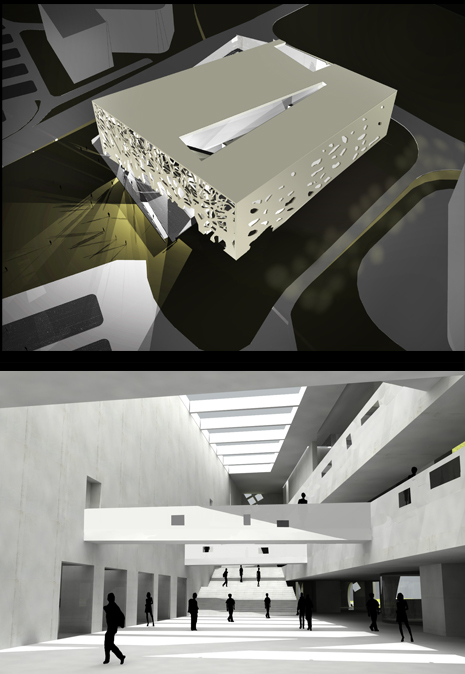 Bernard Tschumi Architects presents the new ANIMA cultural center in Italy. Located on the Adriatic Coast, near Grottammare/San Benedetto, the 15,000 m2 includes a 1500-seat multifunction hall, large rooms for art, music, performance, and meeting spaces. Presentation ceremonies were held in Grottammare, together with the Mayor and the President of the Foundation Cassa di Risparmio di Ascoli Piceno. 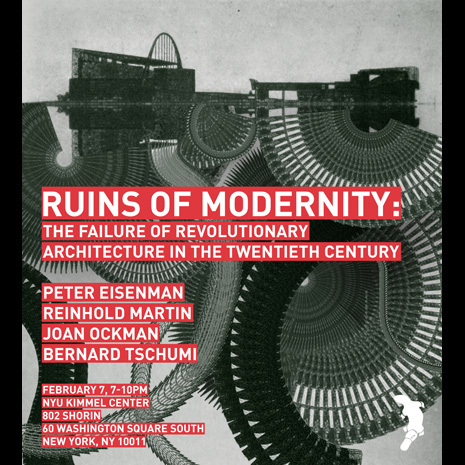 Bernard Tschumi participates in a panel discussion, The Ruins of Modernity, at NYU’s Kimmel Center with Peter Eisenman, Reinhold Martin, and Joan Ockman.